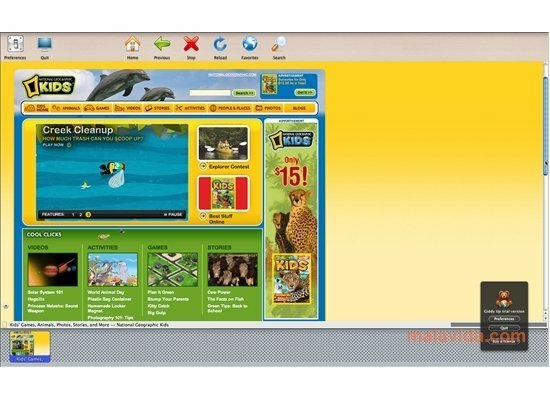 Giddy Up is a web browser based on Safari that is essential if you want your children to start using Internet with total safety. - Configuration of quite a few security options that include the possibility to deactivate some functions like printing, exiting the browser, access to the menus, etc. - Impossibility to download files from the browser. - Establishing rules that rule the access to certain websites by controlling the URL. - Check a detailed output registry with all the movements that have taken place during its use. - Possibility to activate a virtual keyboard that can be used on tactile screens. 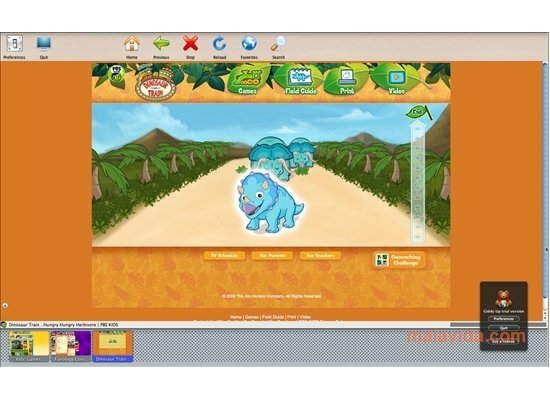 Download Giddy Up and discover a powerful browser that includes everything necessary for children to connect to Internet. Some functions (like protected access to preferences) are limited in the trial version. 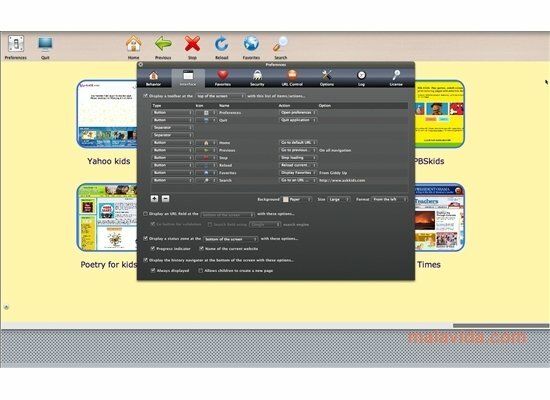 It is compatible with Mac OS X 10.5 and 10.6.